Abby Conway spent the past seven years in Brewster County waiting for her first love, Hunter Wyman, to ride back into town. Her fantasies painted him as a knight on a white horse. Reality revealed a polished businessman. Either way, Abby knew that when Hunter discovered the secret she'd kept hidden, he would try to reclaim what was his. As Hunter's persuasive gray eyes and strong arms stirred up a soul-searching passion, Abby found herself torn between temptation and self-preservation. She didn't want his grandiose gifts of reconciliation. 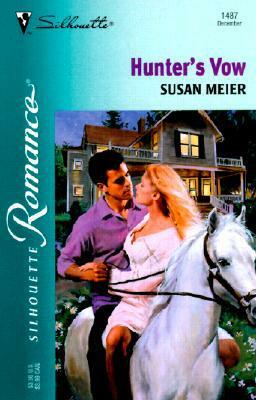 She wanted the one promise her beloved wasn't ready to give -- she wanted Hunter's Vow to forever love and cherish.